Cold Soaked? Seven Ways to Warm Up. You are here: Home / Blog / Cold Soaked? Seven Ways to Warm Up. When it comes to cold weather, if you have cryoglobulinemia, less exposure to cold is best. For many people with type I cryo, their reaction to cold can be immediate and very strong, so great care must be taken to minimize cold exposure. For those of us with type II and type III cryoglobulins it often takes a little longer for us to react to cold, but we still do.. and it often does not matter which type you have when you can eventually reach a point where it seems that any temperature is equally “bad”. For me, my first clue that I have overexposed myself to cold is usually a mild petichial rash, or raynauds, or levido reticularis on my extremities… usually on my hands or feet. Another clue is that I might suddenly find myself experiencing symptoms of rheumatoid arthritis, particularly stiff and sore knees. At this point ,I know I have done myself harm, and that I need to act right away to recover. Everyone is a little different.. you are going to have to try some of these ideas to decide what works for you. 1) GET INDOORS AND WARM UP RIGHT AWAY! For me, I usually do not react to cold instantly, and reacting to cold seems to be the result of the total dose of cold over time. So I need to avoid getting deeply chilled and to warm up fast when I do. 2) sometimes it is a good idea to lay down , and get horizontal , to keep cryoglobulins from pooling in your legs and buttocks after long periods of sitting or standing. Sometimes an hour or so of getting horizontal with my feet elevated a little is helpful for me and will reduce pain and swelling in my feet/legs a bit..
3) If you are sitting, elevate your feet, and use a heated foot pad. This often makes me feel a lot more comfortable, reduces pain in stiff and sore feet and ankles, reduces swelling in my feet and lower legs a bit, and seems to help reduce skin damage from lesions and ulcers a little. If you have sensorimotor neuropathy, your sense of pain might not be all too accurate, so be careful when using a heat pad to keep your feet warm. 4) If you can, get up and move around once in a while. If you just sit or stay in bed, and you are of the type who has rheumatoid arthritis , or symptoms like RA, staying immobile can be a bad idea. If you feel up to it, get up and move around once in a while to keep your joints limber… usually arthralgia will improve once you start moving around a bit in the morning. It is almost always worse in the AM, but often improves in an hour or two. Sometimes in the evening things can suddenly turn worse. You sort of need to learn when it is a good idea to stop and rest and when it is a good idea to push ahead against all odds. 5) If you are the type who develops palpable purpura or necrotic skin lesions rather easily, you might find it helpful to avoid clothing that puts pressure on your skin, such as tight-fitting socks and pants. I have learned the hard way that sometimes I am better off with no socks on my feet and fewer lesions than with socks and more lesions… I also found that at these times I can easily develop lesions on my skin by simply abrading the skin or by just bumping into things… so be careful and adjust your clothing and your behavior to your needs. 6) if you suddenly find yourself headed into a major flare you might need to call your doctor. For some of us a flare is mostly just discomfort, and for others of us it can be life threatening, so be alert to your condition and act on it early. 7) and lastly, STAY WARM!, dress in layers, use a heat pad to keep your feet warm! Keep your core body temperature up to reduce the possibility of cryoglobulins affecting internal organs. 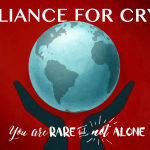 http://allianceforcryo.org/wp-content/uploads/2016/05/Blog-post-art-work.-generic.png 1659 2528 Glen http://allianceforcryo.org/wp-content/uploads/2016/05/logo2-2-300x105.png Glen2014-12-08 05:59:062016-08-04 23:10:38Cold Soaked? Seven Ways to Warm Up. Three Core Cryo Symptoms: Meltzer’s Triad How I know do I know if a flare is coming?